From Rte. 56 in Lower Yoder, turn right onto D. St. (which turns into Goucher Rd.) Turn right onto Furnari Ave. Turn right onto Grazier St. Turn left onto Rockwell Ave. 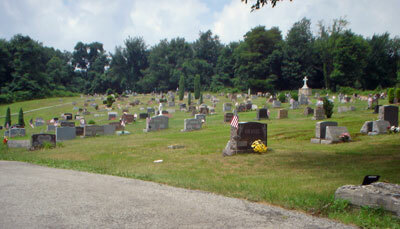 The cemetery will be on the left side of the road, near the end of the road.